For the first time, Apple is offering customers a chance to upgrade their iPhone directly with Apple and make monthly installment payments. 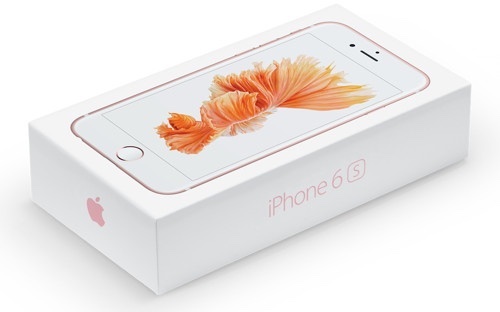 The program features the ability to have a new iPhone every year. Here's what you can expect when you go to the Apple store on September 25 at the time you reserved. Over the weekend, I spoke with an Apple retail store sales person about the Apple iPhone Upgrade Program. This was an informal conversation with a very knowledgeable person who generally filled me in on the process, but for all the legal details, you should read "iPhone Upgrade Program Terms & Conditions." Apple's website pages, listed above, are definitive. What you will should take to the Apple store. A copy of your latest carrier bill and account password. Acceptable identification and credit card. (See below). Your current mobile phone, previously backed up to a PC/Mac or iCloud. See Apple's program page for complete details on what you need to bring. Here's the sequence as it was explained to me. Step 1. Don't be late. You'll need to identify yourself with two forms of I.D. That's typically a state issued driver's licence and and credit card with a matching name. However, there are other options. The specifics are provided by Apple. Step 2. There will be a credit check on you. If you have a lock on your credit report via your state or one of the credit reporting agencies, be prepared to unlock it, provide a PIN, or call them (have the number handy) depending on how your service is configured. Step 3. An account will be created for you with Citizens Bank, N.A., doing business as Citizens One (“Bank”), an Apple partner. You'll have the option to later log in and manage this account. I would suggest bringing a pre-prepared, strong userid and password so you don't make the mistake of creating a weak pair on the spur of the moment. Step 4. When you're cleared for the transaction, you can turn in your previous phone for cash credit (not a store credit), and the value of your old phone will be subtracted from the total price. To check the current value of your old iPhone, see: "Comparison Chart for iPhone Trade-In Programs: Apple, Gazelle, Amazon, iCracked, Best Buy, NextWorth." Your personal credit card will be charged for 1) Sales tax on the new iPhone, 2) The first month's payment. Apple's terms say, "Debit, corporate, and prepaid cards are not accepted." Step 5. I was told that you can request paper or electronic billing from then on. Apple's terms and conditions don't mention that, but say, "After the first installment payment, your credit card will be automatically charged on a monthly basis by the Bank under the terms of the Installment Loan." The loan is financed at 0 percent APR, but your own credit card will likely be charging you an APR on your card balance. Ask about other payment options. You'll be required to pay for AppleCare+. The cost is included in the installment loan. If for some reason you fail the credit check or it cannot be completed, you'll have the option to pay in full with cash or a credit card. Step 6. After you take possession of the new iPhone, your Apple sales representative will activate your iPhone on the carrier network you specified when you made your reservation. If you so desire, the Apple sales person will also assist you with restoring your new iPhone from the previous iPhone via iCloud. Or you can do it yourself when you get home. That's a quick summary of what I was told to expect at my local Apple store over the weekend, plus excerpts from the three major Apple links above. Here they are, again, for reference in case you want to review them in detail. I suggest that you read them all, especially the terms and conditions, section 2, "Upgrade Option." Apple iPhone Upgrade Program This has the table showing what you'll have to pay each month depending on the model you ordered. iPhone Upgrade Program Terms & Conditions It's long but very informative.